Is Death of Wolverine Any Good? Issue #2 Review! 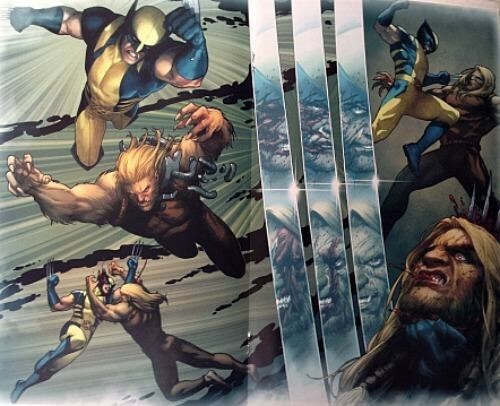 Fresh on the heels of the first issue, DEATH OF WOLVERINE 2 hit the shelves this week. Marvel plans on pumping out all four issues in this month, so the beloved character will be good and buried by October. Smart play on their part, because drawing out this event at this point would be tedious and lose momentum. There are so many variant covers for this four part mini-series, the casual reader might get a little overwhelmed. Hell, it’s been really hard for me to not go an buy every cover I see. But the main foil embossed covers, done by the art team of Steve McNiven, Jay Leisten and Justin Ponsor are spot on and beautiful. McNiven’s character work is almost unparalleled in the business, and he really knows how to draw Wolverine. Viper’s eyes hovering over Madripoor are a nice touch as well. As with all of the reviews of this mini series, I will be writing with SPOILERS, so in case you haven’t read this issue, or the previous one yet, go get it now! Read it, then meet me back here. 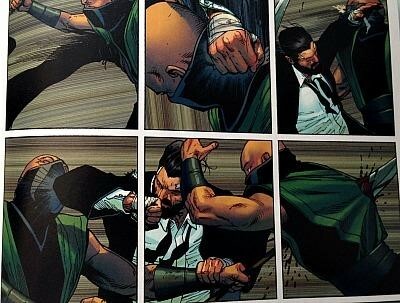 Ok, so as was revealed in the last issue, Viper has been hiring people to track Wolverine down and capture him, alive. He beat back all takers though, and got that information out of a badly bloodied Nuke. 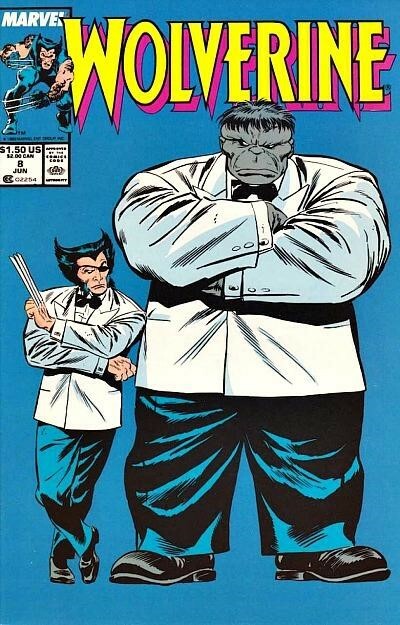 So he travels to Madripoor to confront her, and her pet monster, Sabertooth. Sporting a pretty convincing disguise (way better than his previous Madripoor alter ego, Patch), Wolverine brokers a deal to have an audience with Viper, under the pretense that he is selling a choice piece of merchandise: an Iron Man helmet! From the Superman school of disguise: no one will recognize you with an eye patch! But things go south, as they normally do in the lowtown of Madripoor, and as soon as Viper sees him she sends her ninja assassins after Logan. Still dealing with the effects of no healing factor, Logan easily defeats them without ever popping his claws. Some superb panel work, as the action is portrayed in panels of three, making the art really pop off the page. Then, the moment we have all been waiting for, as she reveals Sabertooth on a chain. She wants a fight to the death, and a gorgeous splash page depicts the epic back and forth battle that these two have danced over the years. McNiven used a type of pencil shading that makes it stand out from the rest of the book, in a more dreamlike way. Then the fight commences, and it is knock down dirty like we all have come to witness when these two fight each other. Blow for blow they hurt each other pretty bad, until Lady Deathstrike makes her unexpected appearance known, almost killing Sabertooth in the process. She reveals to Logan that she is also a target, along with ‘everyone like them’, and she wishes to work together. That is, until she pieces together that Wolverine is damaged goods, and maybe sacrificing his life to save hers is the way to go. That idea is quickly averted when the second unknown player makes her entrance, and Kitty Pride phases her hand through Deathstrike’s chest. Epic twist and turns at their finest. McNiven can do no wrong in my book, and he is such a welcome sight for this mini series. The way he crafts the characters is flawless and the action is rowdy and legendary, making all the panels works of art in their own right. Charles Soule really seems to know what he is doing with this story, giving us just enough action to keep us satiated and just enough character reveals to make this a truly worthy swang song for Logan. Honestly, two issues in and I am still riveted to my seat, and can’t wait for next week’s issue. 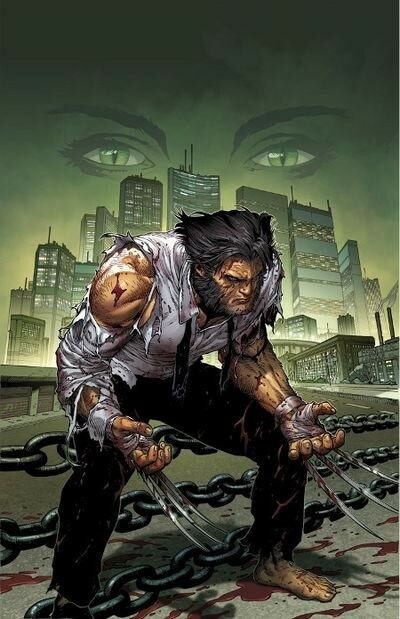 My only concern is that Logan’s actual Death will come too quick in the pages, or be dealt with too liberally. But only time will tell, two weeks away until the very end.